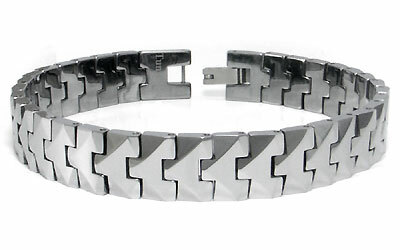 A very uniquely designed bracelet is the Suprano tungsten carbide men's link bracelet with the appearance of a wave on each of the link of the men's bracelet. 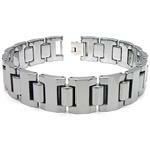 Made of high polish gunmetal color tungsten carbide the bracelet is 10 millimeters wide and weighs 75 grams. 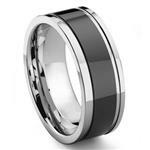 One of the features of tungsten carbide is how strong it is, yet it is also very light for how extremely strong it is made. 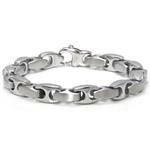 The suprano tungsten carbide men's link bracelet is made to last for a lifetime and longer. 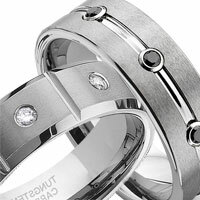 For centuries man has lived with precious metal jewelry that was at best good quality for a lot of money, however now there is superior quality at a fantastic low price anyone can afford. 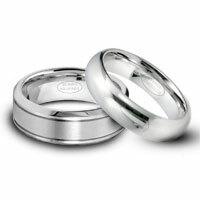 In the past with precious metals rings and bracelets would often be scratched quite a bit from normal everyday activities. 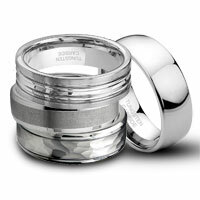 For those who work with their hands for example the jewelry would often break with a little pressure. 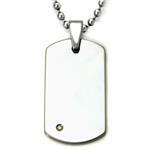 With the new non-precious metals there is no concern of being broken or damaged. 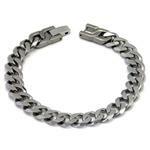 Nice bracelet I found online to replace a broken old one that could not be repaired. 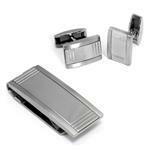 It is comfortable, light, and easy to fasten. Very fashionable and people around have complemented me on its look. Fantastic bracelet....it will be an 18th birthday present for my son.....he did choose it but I'm making him wait much to his annoyance!!! Great product and great service.....quick delivery across the miles!!!!! I am a happy owner of this stunning bracelet. 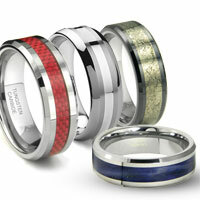 The surface is not completely flat, each piece has small angles, which makes the bracelet extra nice to look at. It realy has a beautiful shine. T-Kay thank you for a great deal, and a quick delivery. I could not have been happier and more satisfied. A wonderful bracelet, which is stylish. 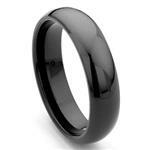 It is beatifully angled in different directions, so when the light hits the bracelet, it becomes incredibly shiny. 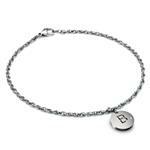 The bracelet has a perfect balanced thickness, not too little, not too much. The weight is equally balanced, not too light, not too heavy. I am more than pleased with the bracelet. I feel thrilled when wearing it. Last but not least, the shipping went smoothly, thanks. 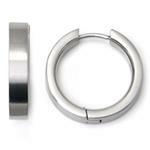 I am completely satisfied with Titanium Kay, and i recommend them highly. 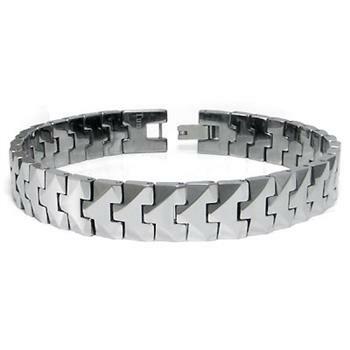 The bracelet is very masculine and its brilliant reflection gets attention and keeps its good look forever because the tungsten carbide is really tuff.